Rec Men’s E2 (8:30 & 9:45 p.m.) — 1. (tie) Miller Collision; The Funk/MPPR Lawncare/Jim’s Body Shop; Anonymous Joe’s (3-1); 4. Relentless Cycle & Speed (2-2); 5. Beach Manufacturing (1-3); 6. The Funk/El Rancho Grande (0-4). *Monday standings did not change, due to rain out on June 8. Social Division — Church League (7:15 & 8:30 p.m.) — 1. (tie) Central Avenue Church of Christ; The Believers (6-0); 3. One Love Church “A” (3-2); 4. Abiding Christ Lutheran (3-3); 5. One Love Church “B” (1-4); 6. Vandalia Nazarene (1-5); 7. Maple Avenue Church of God “A” (0-6). Rec Division — Church League (7:15 & 8:30 p.m.) — 1. Maple Avenue Church of God “B” (6-0); 2. Heart-n-Soule (5-1); 3. (tie) Arrowbrook Baptist; Medway United Methodist (4-2); 5. St. Mark’s Episcopal (2-4); 6. Huber Mennonite (2-5); 7. Spinning Road Baptist (1-5); 8. St. Christopher’s (0-5). ORLANDO, Fla. — Senior Courtney Boyd of the Wright State women’s basketball team was one of five recipients of the 2015 Wilma Rudolph Student-Athlete Achievement Award as she was honored Saturday at the N4A National Convention Award Luncheon. The N4A Wilma Rudolph Student-Athlete Achievement Award recognizes those who have overcome great personal, academic and/or emotional odds to achieve academic success while participating in intercollegiate athletics. Boyd, who earned her bachelor’s degree in 2014 and is currently working on a master’s degree in Middle Childhood Education at Wright State, talks in the Champion article about giving back. She finished her WSU career with 990 points, played in 130 games, which is the second-most in school history. She also appears in the Raider career top 10 in three-pointers made (2nd with 239) and attempted (1st with 820). Boyd’s 85 three-pointers as a sophomore are the second-most in Wright State history. 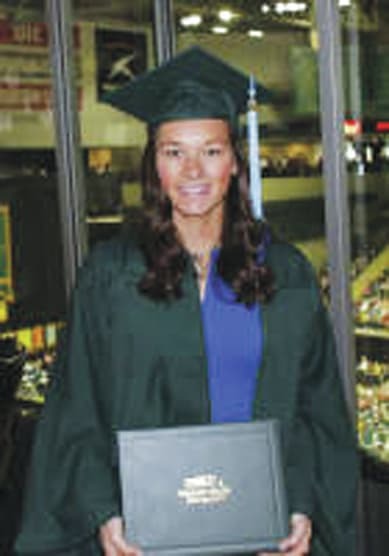 During Boyd’s five-year career (she was red shirted due to a preseason injury in 2012-13), Wright State collected 104 victories, won the 2014 Horizon League Tournament title and made its first four Division I postseason appearances, playing in the Women’s Basketball Invitational in 2011 and 2012, the NCAA Tournament in 2014 and the Women’s NIT in 2015. CINCINNATI — Multi-platinum, Grammy Award-nominated artist Ariana Grande will headline the Budweiser MLB All-Star Concert, part of the Pepsi Music Series, with musical guest, Rixton, on Saturday, July 11 at Paul Brown Stadium during 2015 MLB All-Star Week. The rain or shine concert will start at 8 p.m., with gates opening to the public at 5 p.m. A special fireworks show will be conducted immediately following the concert. The 86th Major League Baseball All-Star Game at Great American Ball Park airs on FOX with coverage beginning at 7 p.m. ET. The full Pepsi Music Series lineup, which will feature a range of artists throughout MLB All-Star Week, will be released at a later date. Fans can obtain either a free General Admission Ticket or free On-Field Standing Room Ticket based on availability at AllStarGame.com/Concert beginning at 9 a.m. Thursday, June 18. Free tickets, which may not be sold, must be downloaded, printed and brought to Paul Brown Stadium for entry to the concert. There is a limit of four tickets per individual request. All concert attendees will be screened at security checkpoints before entering the stadium. No umbrellas, ice chests, frisbees, laser pointers, noisemaking devices, or other specified items are permitted. A full list of prohibited and acceptable items is available at AllStarGame.com/Concert. XENIA — Kil-Kare Dragway hosted the usual Box/No Box classes as well as the XOS classes of 4.50 Index, 6.50 Index, X235, X275, Outlaw Limited Street, and Ultra Street on Saturday. Taking the Box win was Larry Fisher of South Vienna with a 6.7077-second elapsed time on a 6.67-second dial and a 0.0171-second reaction time. Tied for best reaction time in the Box class (0.0002 second) was winner Larry Fisher, and Ryan Burba of Beavercreek. Taking the No Box win was Bob Downing of Springfield with a 6.1138-second elapsed time on a 6.09-second dial and a 0.0478-second reaction time. The best light of the night (0.0006) for No Box was last week’s driver of the week, Bill Emory of Springboro. This week’s driver of the week is Michael Collier of Centerville. Collier drives a blue 1976 Chevrolet Vega under the number 300T. For this XOS event, Collier raced in No Box and had an average reaction time of 0.0132 seconds. Collier’s average speed was 90.75 mph, and his mean standard deviation for his elapsed times was 0.06010 seconds.